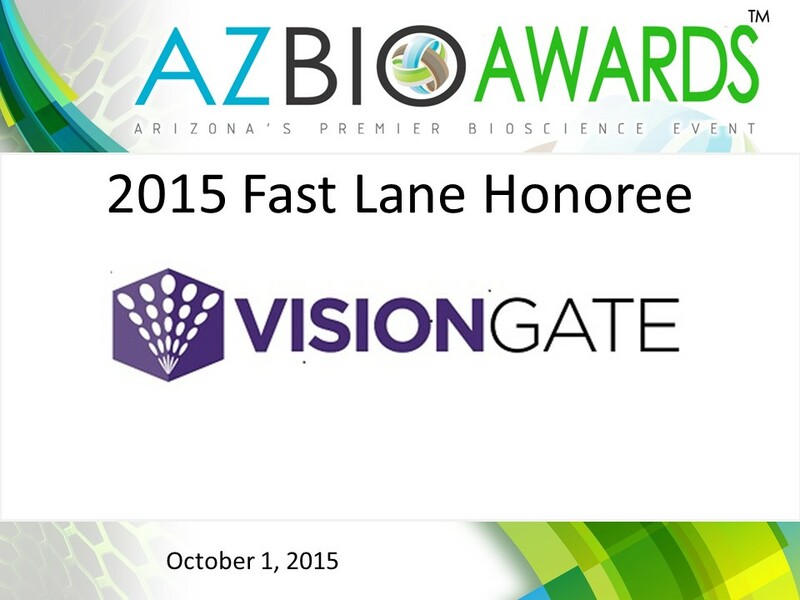 In recognition of its phenomenal progress towards commercialization of its LuCED test for early lung cancer detection, VisionGate, Inc. has been named a 2015 AZBio Fast Lane Company by the Arizona Bioindustry Association (AZBio). LuCED® has been developed as a CLIA laboratory test to aid physicians in the early detection of lung cancer, the world’s deadliest cancer. It is a physician-ordered, non-invasive take-home test that collects sputum samples for lung cancer analysis. LuCED harnesses the power of proprietary optics and computational technology with the capability to generate 3D images of each cell in a sputum sample. It then automatically analyzes cells to identify key features, or biosignatures, associated with malignancy. Clinical Results – Just two weeks ago, VisionGate presented its blinded study results at the 16th World Conference on Lung Cancer. This study demonstrated 92% sensitivity to lung cancer and 98% specificity. Additionally, in July 2015, VisionGate had two peer-reviewed articles appear in Cancer Cytopathology, a publication of the American Cancer Society. One article covered the technology utilized to render patient results and the other was on LuCED’s clinical performance following a multi-center, international study. Certifications – In May 2015, VisionGate received CLIA certification and its laboratory became the first CLIA-certified lab operating in an entrepreneurial incubator in Arizona. Collaborations – Over the last year, VisionGate secured new clinical collaborators that will assist with an eventual FDA approval. As such, VisionGate was invited to be part of the PUSH trial, which is a follow-up trial to the renowned NELSON trial in the Netherlands. This trial is one of the world’s largest and includes 12,000 lung cancer patients. Additionally, VisionGate added collaborations with some of the nation’s top oncology hospitals and lung cancer screening programs. Funding Awards – VisionGate proudly announced this year that Dignity Health of Arizona became an investor. Beyond these milestones, VisionGate also added an additional 17 patents to its intellectual property estate over the past year bringing the grand total to 127. VisionGate will move into a 16,000-square-foot facility in Phoenix in October and plans to increase staff from 17 employees to about 50 people over the next 18 months. Calimmune, Inc., HTG Molecular Diagnostics, Inc., and VisionGate, Inc. will be honored as AZBio Fast Lane Companies during the Tenth Annual AZBio Awards at the Phoenix Convention Center on October 1, 2015 in front of an audience of local, national, and international leaders. For registration and more information, go to www.azbioawards.com. 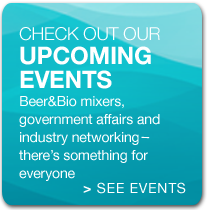 AZBio – The Arizona Bioindustry Association – is comprised of member organizations in business, research, government, and other professions involved in the biosciences. 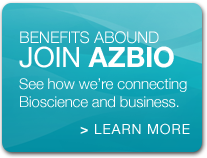 AZBio supports the members of the Arizona bioscience community by providing access to the key resources, connections, and information that support their ability to Connect, Collaborate, Innovate and Succeed thus supporting the growth of a thriving economic ecosystem for Arizona’s Bioscience Industry. The AZBio Awards are an exciting opportunity to connect with Arizona’s fastest growing industry sector. VisionGate, Inc. is led by Dr. Alan Nelson, physicist, bioengineer and entrepreneur who previously developed the world’s first and only automated screening test to detect cervical cancer, marketed today as FocalPoint by Becton Dickinson. 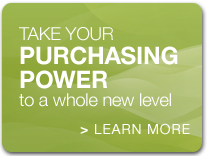 The wholly owned VisionGate Biosignature Laboratories (VBL) offers LuCED, a non-invasive diagnostic test for early-stage lung cancer detection with exquisite sensitivity and specificity. This take-home sputum test is processed on the world’s first 3D cell imaging platform, the Cell-CT, named aptly because it is similar in principle to taking a CT scan of individual cells, but using visible light without harmful radiation.